CLARK FREEPORT ZONE, Philippines—The threat from North Korea has grown to a “critical and imminent level” and the United States, Japan and South Korea must address the matter, Japanese Defense Minister Itsunori Onodera told his U.S. and South Korean counterparts in talks on Monday. 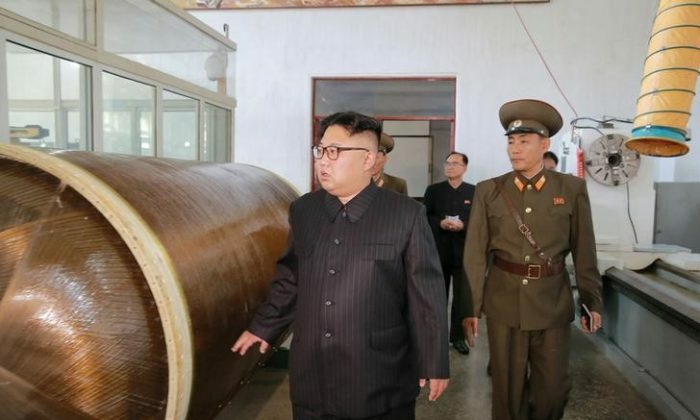 Onodera’s remarks underscored the deep concern in Tokyo after North Korean weapons tests, including test firing missiles over Japan, as Pyongyang seeks to develop a nuclear-tipped missile capable of reaching the United States. 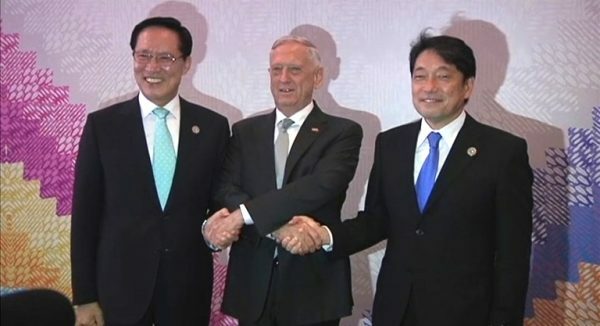 His comments broke from more measured language on Monday by U.S. Defense Secretary Jim Mattis and South Korean Defense Minister Song Young-Moo, as the three men met on the sidelines of a gathering of Asian defense chiefs in the Philippines. Meanwhile, former U.S. President Jimmy Carter said he is willing to travel to North Korea on behalf of the Trump administration to help diffuse the situation, the New York Times reported. Mattis is at the start of a week-long trip to Asia and will attend meetings hosted by defense ministers from the Association of Southeast Asian Nations (ASEAN) in the Philippines. ASEAN defense ministers, in a joint statement, expressed “grave concern” over North Korea’s nuclear and missile programs and urged the reclusive country to meet its international obligations and resume communications. Mattis’ trip, which will include a stop in Thailand, comes before Trump’s first visit to Asia next month, including a stop in China. 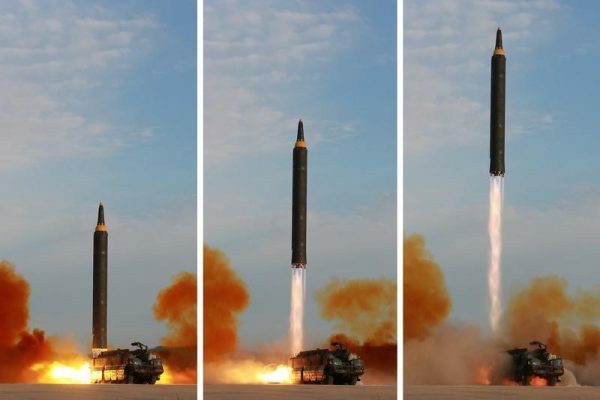 Trump has been pressuring China to do more to rein in North Korea’s missile and nuclear program. China is North Korea’s neighbor and biggest trading partner.